A long weekend with lots of live music, outdoor dancing and parties, we invite you to discover one of the most unspoiled islands of the Mediterranean Sea in an original way, and to taste one of the most heterogeneous and refined recipes of the Mediterranean cuisine. 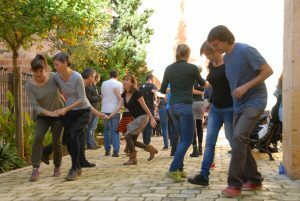 Organized by Jazz Association Obert Menorca Lindy Hop. You can download the schedule in PDF updated 04/05/2017, you will find a detailed description of the different activities below. Meeting point, registration desk and accreditations, tickets and passes delivery. Building built in the XVII century from a previous church of the fourteenth century dedicated to San Antonio. It has a sole nave, rectangular, without chapels and covered with three sections of ribbed vaults. The current facade is the result of a renovation made in the 19th century. 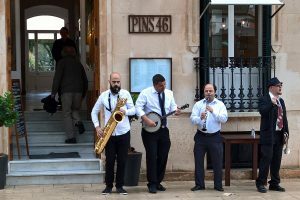 Come and enjoy the coast and the transparent waters of the island to the rhythm of SWING music. 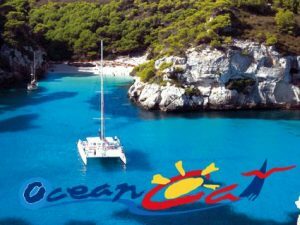 The catamaran is unique and Ocean Cat offers you an unparalleled experience, not compareble to any other type of excursion. 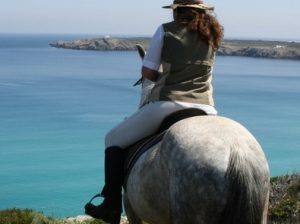 Hours: Fri, From 11:00 a.m. to 4:00 p.m.
Cala Morell, La Vall and the Naveta des Tudons. 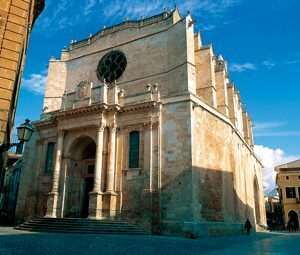 This itinerary will lead you to discover one of the most interesting landscapes in the area around Ciutadella, whether for prehistoric, geological or scenic reasons. 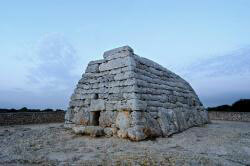 Activity in cooperation with Menorca Sedueix. Hours: Sa from 10:00 a.m. to 1:00 p.m.
During the different parades and outdoor dancing with the Dixieland bands, we will also participate in some dancing tasters related to the swing music. On Saturday afternoon we will have the first part of the Jack & Jill Competition. 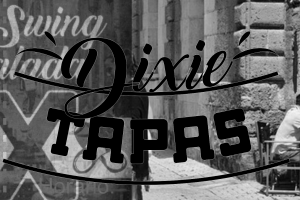 During the weekend you can buy the “Dixie-Tapas” Forfait, which includes the tasting of a selection of tapas with drink in different establishments of the historical center of Ciutadella. We will await for the earliest participants with the best swing (DJ) and a dinner consisting on a complete selection of Menorca tapas. Keep in mind, you have to save your strength for the rest of the weekend. The Inaugural Party, get ready to “Xalar” with The Swing Crusaders Ensemble featuring Ángela Furquet and The Old Dixieland Band, two bands that will not stop us from dancing on a night full of surprises. From 02:00 at the Jazzbah Port Ciutadella. Get dressed with your best vintage clothes and come to dance with the Monkey Doo and The Bumpy Roof Band, and don’t miss the Final of the Jack & Jill Competition and many more surprises. 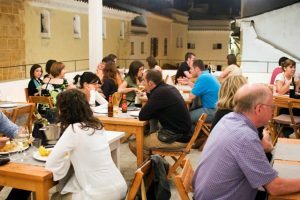 The closure party organized together with the Associació Fra Roger, gastronomy and culture. They will prepare 6 recipes from the beginning of the century, inspired by the recipes of Pere Ballester and by some culinary melodies of Swing. With live swing music we can enjoy these sets that will be cooked live and also some more surprises. Those who still have strength can continue dancing in a unique place, the Bastion of the Governor, one of the few structures still preserved from the Old Wall and from where you can enjoy the best views of the Antique Port of Ciutadella. Hours: Su From 11:00 a.m. Registration is Close, send an email to [email protected] and we will put you on de waiting list. 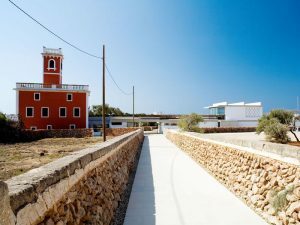 Sa Vinyeta is the only youth hostel in Menorca and is located 10 minutes away from the Ciutadella harbour. It is a restored country house with bedrooms, air conditioning, free parking and an area with free WI-FI internet. Sa Vinyeta has spacious common areas such as the garden, the terrace and a lounge with a reading area with books. Breakfast is served in the dining room from 8:30 to 10:30. There is a picnic area in the garden. Sa Vinyeta is 7 minutes away from the small cave of Sa Farola. Some areas of the lodge offer a view of the sea. The center of Ciutadella is a 10-minute drive away. * Special prices for attendants to Menorca Lindy Exchange from 12 € / day (with breakfast) you must indicate in the observations field your registration code to obtain the discounts.